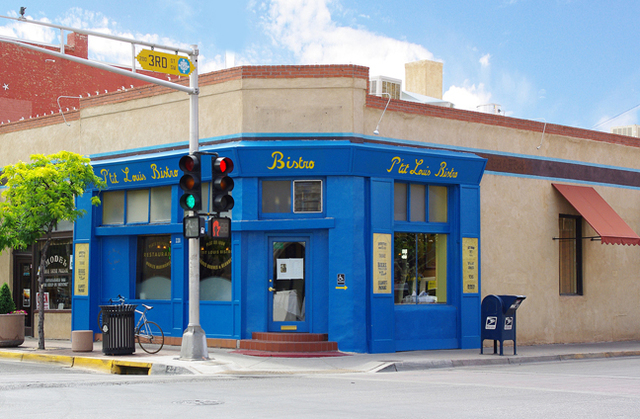 Google “bistro albuquerque,” and you’ll find more than a dozen restaurants that serve French, Asian, Chinese, Italian and contemporary cuisine. Figuring out what they have in common is a challenge. The word “bistro” has a fuzzy etymology. Some attribute it to the presence of Russian Cossacks in 1815 Paris who used the term bystro (quickly). Some linguists say the word didn’t enter the lexicon until the end of the 18th century. Wikipedia notes that bistros may have evolved when landlords, who offered room and board, expanded their kitchens by setting up sidewalk tables for the public. They served homey food—braised stews, simple meals and a house wine.